Can I be insanely cliche and predictable for a moment? HOW HECK IS IT THE END OF APRIL. ????? I’m seriously freaking out that it is (almost) May already. It’s scary. Anyway, let’s talk makeup! It’s only my favorite day of the month. And I’m being totally truthful. This is my absolute favorite day because I like discussing makeup-y things with other beauty obsessed people. I have a couple repeats this month which may be annoying, but honestly… they are my favorites and this is what I use. It’s not like I just pick stuff out to put in these posts. This is allllll what’s going down on my face. First up, lipglass! You might remember that I have major love affair with MAC dazzleglass, but long before those came out I was hooked on their lipglass, as I’m sure many of you were. The above is one of my all-time favorite pinks. This is actually my second tube, which speaks volumes if you’re a lipgloss person, but I flew through my first one last summer. It’s so pretty-pinky-coraly and I just adore it. It’s the Nicki lipglass and it’s always in my purse. It’s actually sort of similar to a NYX butter gloss I mentioned a few months ago (which I still ADORE) but this one is much more opaque. The NYX ones are a bit more sheer. Okay. Next. This is sort of a funny story. Well, not really. So – I am totally not a lip stain girl. I actually HATE when my lips are stained, mainly because in the past any sort of “stain” has been translated to your lips being hot pink for eons. I also actually love to reapply gloss or lipstick – heck, even change colors throughout the day. I mean, I can never make up my mind. A few months ago, Jessica introduced me to these revlon kissable balm stains and even gave me one for my birthday. While I liked them, I still couldn’t get behind the whole stain (even though these mostly stain in the color they show) and set them aside. But… I used it earlier this month and decided I liked it. So much so that I had to go and buy a few more colors – these are (from top to bottom) darling, charm and cherish. OMG. After getting these ones, I became freakishly obsessed. I am in love with them, and even more so? I’m in love with LAYERING them! I will mix two different ones and use combos of the three above, plus the first one I had (which is in honey). I still sometimes use gloss on top and I still find that I reapply the heck out of them, but I can’t get enough. These shades are so perfect for spring and summer. I am also not a lipliner girl but this color is perfect for defining my lips when using these colors and not looking like a crazy person. Since you’ve listened to me whine about how incredible the Korres Jasmine lip butter is for the last four months, I was super excited to get the little squeeze tube of the same product in a gift set. It doesn’t seem to have the milky wash of color that the tub does, but it still smells the same (aka perfect) and feels like heaven on your lips. If you don’t like dipping your finger into the original tub, this is a win. Cheek stuff! This is another sample that I’ve had for ages. To be frank, I don’t really like Benefit products. I think they can be sort of hype-y. I REALLY loved them back in high school and wanted everything they put out, so maybe that is why I am not as enthralled these days? There are a couple of blushes that I have and like, but other than that, I’m not a huge fan. Yes, that includes the They’re Real mascara. Don’t like it. It does nothing for me. BUT. Since I’m hooked on coral, this cha cha tint is becoming my best friend. I really have learned to love cream blush (I talked about one of my other favorites in February) and while this is a bit more liquidly, I love how it blends. It’s definitely not as scary as it looks in the photo. It’s super fun! I think it would also look even better on darker skin tones. And yes, I’m still faithful to my favorite tarte blushes. I’ve mentioned these both before but if I’m in a rush (or just if I… want them), these colors are my go-tos. The one of the left is exposed, which I think will always be in my makeup bag. The right shade is tipsy and is so much fun for this time of year. Again, it’s not scary. I adore it. I love these things. While on the topic of blushes, I want to smash my entire face into this brush. Holy crap, it is so flippin’ soft. I don’t necessarily use it for blush all the time – sometimes for powder or even bronzer or something, but it is SO FLUFFY. It is by real techniques and I get it at Ulta. It is much cheaper than any brush from MAC and feels like a darn cloud on your face. Moving on to eyes… yeah, still losing it over the naked basics palette. It’s still strange for this color lover but it’s perfect. I have no other words. Except: adore. Buuuut… I still can’t let go of all color. As you can tell, these babies are well loved. From the right, these are MAC talent pool (which I think was limited edition or something but it is YEARS old), trax and steamy. Three of my all-time faves and colors I clearly use constantly. I always reach for these, even if it’s to use a liner brush and put them on my lower lash line with natural shadow on top. And to continue my pigment infatuation from last month: I know I shared a bunch of (old) favorites, but this is a new one I picked up because I LOST MY MIND OVER THE COLOR. It’s MAC steel blue and the pics don’t even do it justice. 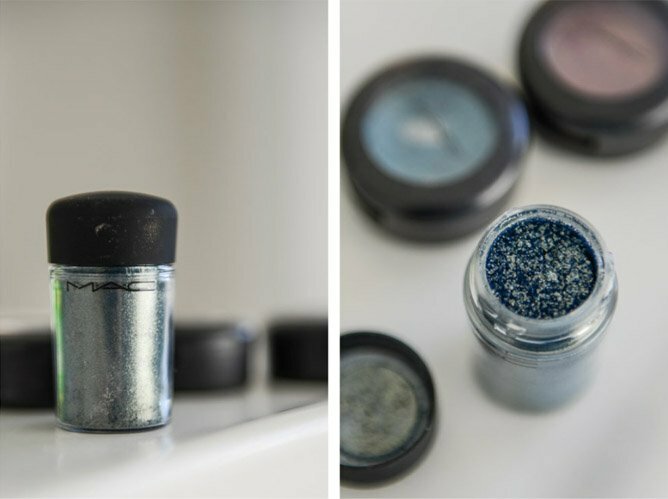 In all my old MAC gift sets, there was only one blue pigment and it was such a dark navy that it almost appeared black. I just love this so much. And I’ll probably have it for, like, ten plus years. Oh oh oh!! Oh my gosh. I am also really excited about this. You guys know I love my 24/7 liners (when urban decay released the liner vault earlier this month it took everything in me not to purchase a $300 box full of eyeliner), but brown is never a color I gravitate towards. HOWEVER. This shade, underground, is such a cool brown. It’s almost like… what’s the word… metallic like? Chromographic? I have no idea but it’s not just plain old brown. If you go to Ulta or Sephora and try it on your hand that move it around, you’ll totally see what I mean. It changes shades in the light! Since I haven’t mentioned mascara since January, I thought I’d update you on what I’m using. I’m still gung ho about loreal voluminous carbon black, but I tend to combine it with this maybelline falsies flared. I actually don’t know why I didn’t mention the latter back in January – I’ve been using it for probably six months and I feel like it separates my lashes (which are short, stubby and nonexistent, hence why I always wear fakes which prob makes it worse) while lengthening too. I’m all about length – I could care less about volume. So I like the combo of the two – I’ll start with the maybelline one and finish with loreal. I don’t want to sound like a broken record, but I’ve talked about how I loathe foundation and just hate having stuff on my face. It’s gotten a little better since I started using the beauty blender last year and I’ve tried out a handful of foundations just to see how they look. If I take my time, I usually tend to LOVE how my skin looks with them – just so even and flawless. Up until now, my favorite has been this YSL le teint touche eclat. That being said, I only wear it MAYBE once a week. Remember… I work from home and don’t have a life. The only reason I purchased the above was because all the you tube girls I love were talking about it being so great. I figured since it was fairly cheap that I would give it a shot, and I had actually self-tanned my face and needed something a bit darker that usual anyway. OHMYWORD. I’ve only worn it maybe 5-6 times but ummm… it’s been perfect. I’ve applied with both a brush and a beauty blender. I love it every single time. It has kept my blush on my cheeks like nothing else. I still set it with my MAC Fix+ and just love it. As a random but slightly relevant side note, I also learned this month that BB cream and foundation look so much better on my skin without a primer. Like many others, I drank the primer koolaid after trying tons and tons of samples. It also just FEELS really awesome on your face. But when I’m going to put something heavier on my skin, I’ve learned that whatever is going on looks much better and more natural without a primer. Riddle me that. Along the same lines as face stuff, I’ve been using this MAC radiant rose concealer under my eyes. Freaking love it. As you can see above, it’s definitely pink toned which always works for me. I still love the maybelline instant age rewind that I talked about in January, but if I am wearing something like foundation on my face, I’ve found that this is easier to use and looks better. I’d say for the last 2-3 months, I’ve used this half the time and the maybelline age rewind the other half. Let’s talk about moisturizer. What is your favorite daytime moisturizer with sunscreen? My absolute favorite is my Trish McEvoy beauty booster cream that I talked about last year. GAH. I love it so much. It has a consistency that I’ve never felt in any other moisturizer. It’s perfect for my slightly sensitive, sort of dry but pretty normal skin. It’s just amazing under makeup or worn alone. However, it’s freakishly expensive and I’m also not thrilled that it’s filled with parabens. I know, I know… a lot of my other products are stocked with them too, but not things that I necessarily use on my body every single day of my life. I know that there is even research out there that parabens aren’t terrible and respected dermatologists that think they may be harmless, but I’m torn. All things in moderation… and my facial moisturizer used every single day is not moderation. I’ve never found anything else that I love as much. I have been using the above aveeno moisturizer and it’s pretty good. I’ve used yes to carrots in the past and when this is gone I may try an Olay one. But thoughts on your favorite? My favorite eye creams in the past have been by kiehls and shiseido, but I received this tarte eye treatment in a little set at sephora and really like it a lot. I’m not so much concerned with something decreasing wrinkles – I don’t entirely believe that is possible and at this age, I’m going more for preventative care, but my main goal with any cream for my eyes is moisture. If my under eyes are dry, my concealer can get cakey and then I look even older. Ick. So I tap this on before bed and before I put on makeup. I don’t like that it doesn’t have sunscreen though, so sometimes I will just use my daytime moisturizer as a makeshift eye cream and tap it on so I have some SPF up there. Do it, people. You don’t need a little expensive jar of stuff! …says the girl who just told you about an $85 moisturizer. Hi, I’m a hypocrite. Last summer I purchased the wonderfulness known as St. Tropez after sky high recommendations from Heather. Um, it’s the best. As someone with insanely pale skin (no seriously – I am always the first shade in any sort of face makeup and often, the first shade is still too dark), I have tried every self tanner on the market since I was in high school. I never wanted to buy into the St Tropez hype but man… it is not hype. This is not streaky, it is not orange, it dries immediately and has never transferred on to my clothes once. I can’t really be bothered to self tan that much, but I’ve done it a handful of times now and just love this product. It’s very subtle. Once I have a little color in the summer, I occasionally like to use those pretty, sparkly lotions because I will forever be a 7th grade girl. Let’s talk about this pacifica coconut crushed pearl body butter. I spied this in Whole Foods a few years ago and nearly toppled over when I saw the price tag was near $25. UM WHAT. If I am paying $25 for lotion it better give me legs like Carrie Underwood. And a lot more. Luckily, around Christmas time it was 50% off at Sephora. Win. It smells like the tropics. Someone take me there please. Only splurge on this if you find it on sale. Don’t mind this upside down photo as I was too lazy to actually remove this bottle from the shower, and therefore climbed in the shower with my camera to take a photo. We have both been using this body wash for the last two months and it’s super gentle and wonderful. (And yes, the men’s facial scrub belongs to my husband.) I still use my Nuetrogena grapefruit body wash with salicylic acid right after workouts or sparingly, but this is our go-to soap. It smells pretty good too. 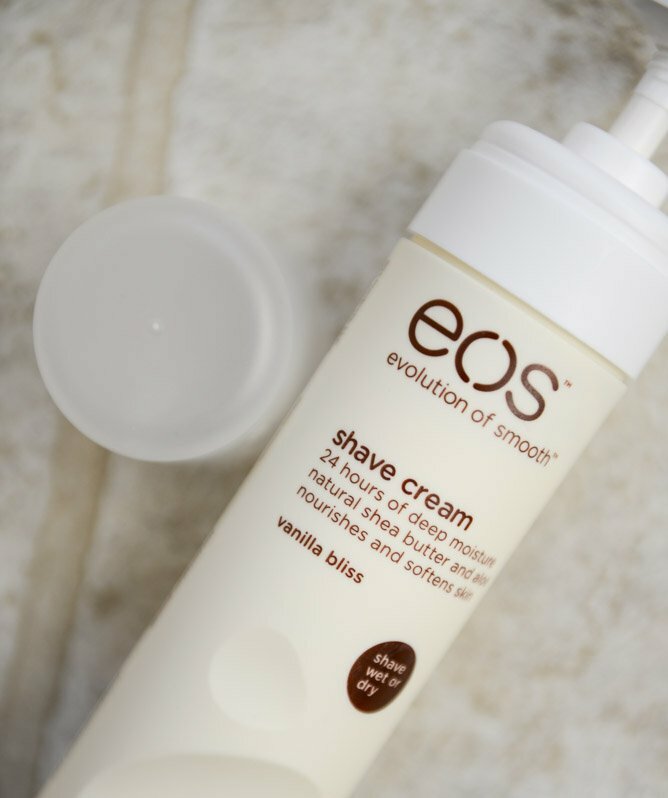 Speaking of showering, I haven’t been a shave cream person since my mom told me I wasn’t allowed to shave my legs and I disobeyed her on the first day of sixth grade, but this EOS shave cream from target smells so good I want to eat it. It’s like FROSTING. Alright. 2013 has been the year I’ve become enamored with dry shampoo. Yes, this translates to I-work-from-home-and-work-15-hour-days-and-barely-shower-let-alone-wash-my-hair but hey – who cares? I’m alone most of the day, thank goodness. I know I shared this back in January, but my Ulta has since starting carrying so many more scents and I am in love with the two above. They are my daily favorites. They smell DELICIOUS. The one on the right is my personal fave, but they were out of it last time I went (and it’s pretty much empty) so I grabbed the cherry. I like it a lot. As another random but slightly relevant side note: I refused to fall victim to the dry shampoo trend for years. Since I don’t have oily skin (I mean, it never gets oily, ever) – my hair rarely, if ever, gets oily or greasy. And that’s with workouts. It doesn’t need the dry shampoo for that reason, but once I started using this, I fell in love with the volume and texture it gives. Which also says a lot, since my hair has a good bit of volume on it’s own. Oh hi. I saved the best for last. Even since I mentioned my favorite perfume in January, people have been coming out of the woodwork telling me I need to try Jo Malone scents. I think that my current perfume will be my forever perfume, but since it’s wildly expensive, I’ve been looking for a scent that I could wear in between to make my favorite last longer. After the taylor swift perfume disaster of 2013, I decided to go with this ginger biscuit cologne and AHHHHHH. This is to die for. After wearing Burberry Brit and Prada for the last almost ten years, I just kinda wanted a change, and now I’m set. Though I have to admit… I still spray that West Side perfume on my body when I’m home alone because I love it so much. PS: I think this scent is limited edition. Wah. Whew. I feel like I just talked FOR.EV.ER. Because I did. You know the drill. Tell me your favorites! 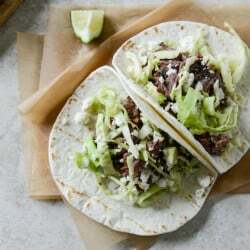 Crockpot Short Rib Tacos with Salted Lime Cabbage and Queso Fresco. Love these posts! Except for the fact that it makes me want to spend thousands on stuff, they are fantastic. I am a once-a-week hair washer, and I use corn starch on the days that I don’t rinse. 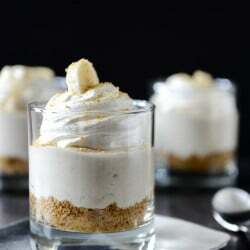 It soaks up all the grease and adds great volume and texture. I’ve also used Lush dry shampoo when I want a scent, but I don’t think it works as well. Also, you probably have corn starch in your kitchen, which is fantastic. For face lotion, sunscreen is a must for me. I use Olay for sensitive skin everyday since I was, like, 16 and adore it. Coconut Oil and Rosehip Seed Oil for face moisturizers, I just mix a few drops in the palm of my hand. Dry shampoo – Suave of all things. I love the scent, the body, and the price. And it doesn’t make me flake up. i love these posts! and i love when some of the items you post are already in my bag…i feel justified! :) i am the same way with benefit products…though, i recently received a sample from Sephora of the Watt’s Up highlighter…OMG. It’s awesome! :) Also, check out the ever popular GlamGlow Mud Mask Treatment at 69 dollars a jar. I took a sample home on Friday and whoa! I may have to splurge. 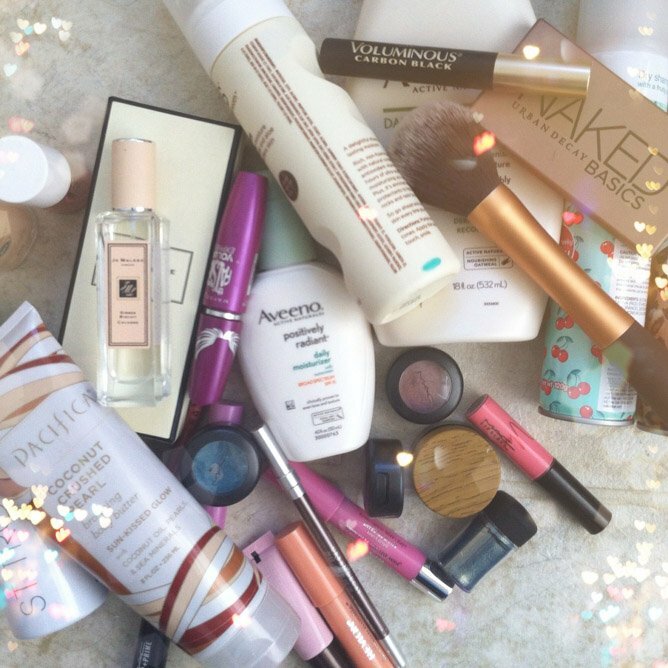 Love these beauty posts! And now I want to go shopping and find some new favorites of my own :) Thanks for sharing! Love love these posts! Seriously I need to go shopping. But I think I live in the same area as you and hate that I have to drive so far for an Ulta or a Sephora that’s not housed in JCP. Hello, bring these stores to my backyard, please. I try really hard to use products that aren’t tested on animals and don’t have nasty ingredients. Try out the Josie Maran Argan Daily Moisturizer when you’re out of Aveeno! No gross stuff in it (aka ingredients that will give us cancer) and not tested on animals. I have super dry skin that never gets oily, and it’s awesome for me. It kind of smells like Robitussin, to be honest, but that goes away almost immediately. Plus I think the SPF is 40, so it’s higher than most, which I need because I am deathly pale, too, and burn in ten minutes on a cloudy day. Which youtube girls do you watch? I have just started getting into it! I bought that dry shampoo after Cindy (hungrygirlporvida) raved about it recently and I LOVE it. My hair is really fine and gets oily quickly, so it really is perfect for me. I use Aveeno facewash and really like it! For daily moisturizer, though, I use Bare Minerals Advanced Protection with SPF 20. Until recently, I didn’t use moisturizer…but I have really fair skin and discovered my first cancerous mole recently (at age 24, wonderful) so moisturizer/foundation with sunscreen is a must for me from now on. It’s really light and doesn’t have much of a scent – I love it! I’m anxious to try some of your suggestions, and here is one of mine in return : ) Just a lovely scent.. I actually followed and eventually stopped a stranger to find out what she was wearing. I love these Beauty posts!! I just recently bought the Urban Decay Naked 2 palette and the Benefit Fake-up (undereye moisturizing concealer) and I am OBSESSED with both of them!! Who are your favorites for video bloggers (vloggers? is that a thing?) that demonstrate the products and tell you how to use them? Yes, definitely try the Josie Maran spf 40 daily moisturizer! I also love trax from Mac and I want to seeee these colors on your eyes. I also love the Jo Malone limited edition fragrances – I really want to get the lemon one. Underground IS a fantastic color, I feel like I could put on an inch thick line and it’d still be subtle. If you like the Naked Basics you’ve got to get Naked2. I know its cliche but its good. I think this April has flown by faster than any other in history. I can’t get over it. This whole year really. My husband and I will be celebrating our 1st wedding anniversary at the end of May. It’s freaking me out! Okay, I just got my beauty blender sponge in the mail and you were so right! It is soooo much better than any other sponge. Also, another comment about Bare Minerals and other mineral makeups — many of them contain micronized aluminum — NOT GOOD! Also, new research about zinc is scary — it can go in your breast milk, and remember they took zinc out of denture cream because of health risks. Dermalogica Active Moist is a really great day-to-day moisturizer, though it doesn’t have SPF… I’ve been using that same Aveeno one because I was too cheap/lazy to go to the salon that sells Dermalogica near me, I regret my choice. Dermalogica has a ton of awesome products, I use their one cleanser and will never switch… They’re slightly pricey, but I think overall it’s worth it. I have somewhat sensitive skin with no major oil or dryness issues, and none of their products have ever irritated me, even their brighteners. Would love to know what your thoughts are on hairsprays! I have wavy fine hair, so I like to finish off with a little spray to hold the volume and wave, but so many hairsprays are AWFUL! They glue my strands together, leave it stiff and pulls my hair out when I brush it out. Can’t find a good one, though I kinda feel that it’s a necessary part of the regimen! Any thoughts on hairsprays? Love all these recommendations! well, i rarely use hairspray. i am pretty lucky that my hair holds volume and curl pretty well. BUT – when i do use it, i only use kenra. been using it for 6+ years – it is heaven and lasts forever. i use the #25 – super hold hairspray, my hair stayed in place my entire wedding day, from 8am-2am… and the #26 finishing spray is really good too! Thank you! I haven’t heard of this line but will check it out! And yes! You are lucky! Ugh….my hair…! oh! just re-read this… if you are looking for something nonsticky and that allows you to brush out your hair if needed, you have to try this one from loreal! I actually am just finishing up my first can of this after hearing about it somewhere! It’s probably been one of the best that. I’ve used so far. The unscented was recommended as the other is just a little too much I guess! I tried a John Frieda one this week and can’t even get my fingers through! Hate that! Thank you! I have moderately curly hair (used to be super curly, but it’s softening as I get older) and I’ve used spray gels instead of hairspray for years. My long-time favorite is plain old Herbal Essence. Their current marketing scheme is called Tousle me Gently (Softly? I dunno, it’s the purple bottle) and it works great. I use a fancy schmancy curl cream to really style my hair, then spritz on the spray gel to hold for the day. It’s kinda crunchy, but I like that, and if I run my fingers through my curls the crunch fades and the curls stay. Hi Jessica! I’ve been a reader/follower for several months but this is my first time commenting :) I love all your recipes but I get extra excited when you talk about favorite beauty supplies every month! I’m always happy to know we use some of the same things: the nyx lipliner, kissable balm stain, trax!, voluminous carbon black…and I’ve had my eye on many of those new UD liners. I have a few and I’m obsessed. I’m the same way about cover girl! I’m still stuck on the Benefit Oxygen Wow, but I’m switching over to the Tarte BB cream b/c I’m obsessed with the texture. I’m on an eye cream bender, what shisedo and kiehls ones do you like? I’m using one from a Strivectin kit I got and it’s only okay. aaand, my favorite moisturizer is cetaphil. I always go back to their sensitive cleanser. to moisturize I have a huge tub of the cream and one with an spf for daytime. I have a boatload of new faves to share soon, too! i can’t WAIT for your favorites! If you feel like shelling out a fortune for foundation that feels like you’re wearing nothing, try Make Up Forever. I bought the set from Sephora and it was like $79 but the sales girl insisted that you just don’t get the same results without MFE’s primer (she was right; it really doesn’t look as good) and the finishing powder is off the chains awesome. Sometimes I just use it to take the shine off my face. Anyway…this is seriously the best foundation I’ve ever tried. My skin looks absolutely flawless and it’s super lightweight. My boyfriend, who never notices anything, actually asked me if I had pores, and if so where were they? Moisturizer…I’ve been using Neutrogena’s oil-free spf version for years and I love it. It does have a slight sunscreen smell to it, but it absorbs super fast and isn’t greasy. I’ve tried Olay’s day stuff too but I like Neutragena better. I love your beauty posts too, although I can hardly find any of the mentioned products in my country. And I fid them quite expensive too. Anyway, when talking about make-up, could you make us some swatches? It’s hard to see colors in packages. Thanks. Greets! I love bobbi brown beach sunscreen body spray. i use it as a tanning oil. It’s not greasy like some others that I’ve tried. it has spf. smells like….the beach! also, i use curel unscented body lotion and like to spray a squirt of the bobbi beach oil into my curel lotion. The smell is great and the combo is really moisturizing. :) The combo of the two is also great to put on my legs during the summer for shorts or skirts. Moisturizers!! I’m in college and I started moisturizing freshman year. I’m really hoping this means that I will further enhance amazing skin genes and not age…ever. I’ve used straight up Vaseline and Vaseline petroleum jelly cream (both of which are cheap and will last you a while, since you need just a dab to get your whole face). Then I moved over to sometimes Vaseline and sometimes Clinique’s moisturizer (the yellow stuff), which I loved, but alas, it was a sample bottle and I’m a college student and I can’t afford that stuff on the regular. Then I went abroad last semester and started using this Nivea cream that it seemed every Chilean woman used, but then I came home and I couldn’t find it anywhere! That was probably my favorite moisturizer yet. The closest I came to it was just plain old Pond’s dry skin cream. A little goes a long way and it keeps my skin nice all day long. Have you ever tried mineral makeup? I’ve been using it for a while (Clinique’s almost powder makeup) (I promise I’m not a Clinique rep!) after I figured out that cream foundation and tinted moisturizer make my skin greasy. I just found your blog. I love these posts but like others said, it makes me want to go shopping! If you like the falsies mascara, you should totally try the new rocket mascara from Maybelline. They are my go to mascara and I always am trying their new stuff. I loved the falsies so much but wow this stuff is ridiculous! I have never had a mascara make this much difference in how my lashes look! My only gripe is I feel like it goes on super think so it is a pain to remove. It looks so good, the extra minute and cottonball are totally worth it though! I must try this Jo Malone stuff – I too have been wearing burberry brit for almost 10 yrs. since 2004 to be exact and I can’t find another sent I like. I’ve tried Marc Jacobs brands and they’re okay, and some other burberry scents, but still nothing beats brit. Also, every eyeliner I try always smudges. Hows this urban decay stuff for smudging? I spend too much money on make-up….especially when I rarely wear it! I like all the products taht you mentionned, unfortunatlly we can’t find some of them in France :-( Like Tarte brand for exemple! Has anyone tried to buy the Josie Maran Argan Oil SPF lately? I went to Sephora today and it was gone. They do not have it any longer. The lady did not know what was going on with it. I don’t know what to do….I love that stuff! i have heard some people say they are repackaging it and it will be back… i sure hope so! !